PC-based simulations, though touted by many in the aviation community as excellent flight training aids, are not being used to their full potential. 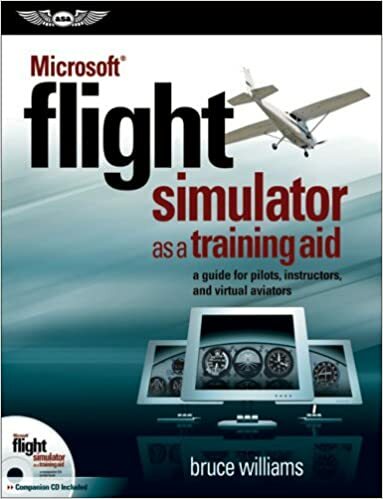 This guide and the accompanying CD illustrate how to get the most out of Microsoft® Flight Simulator with general suggestions, specific advice, and practical tools. Student pilots can use the comprehensive information to review specific concepts and prepare themselves for formal flight instruction, while certified pilots can upgrade their navigation skills, learn about advanced aircraft and procedures, and complement their real-world flying with additional hours in the virtual skies. The materials are equally suitable for flight instructors looking for new tools to use in ground school classes and pre- and post-flight briefings and virtual aviation hobbyists will welcome the in-depth information on flying in the real world.